These are less like your granny’s underwear drawer than you would imagine! But if you don’t like lavender, vanilla or whisky works just as well. 1. Put the cream and lavender in a pan over a low heat. Remove from the heat when the cream begins to steam but before it boils. Leave to infuse for about 30 minutes. touch the bottom of the bowl. chocolate has melted. Leave to cool, then chill until the mixture is cold enough to handle – about 30 minutes. 4. 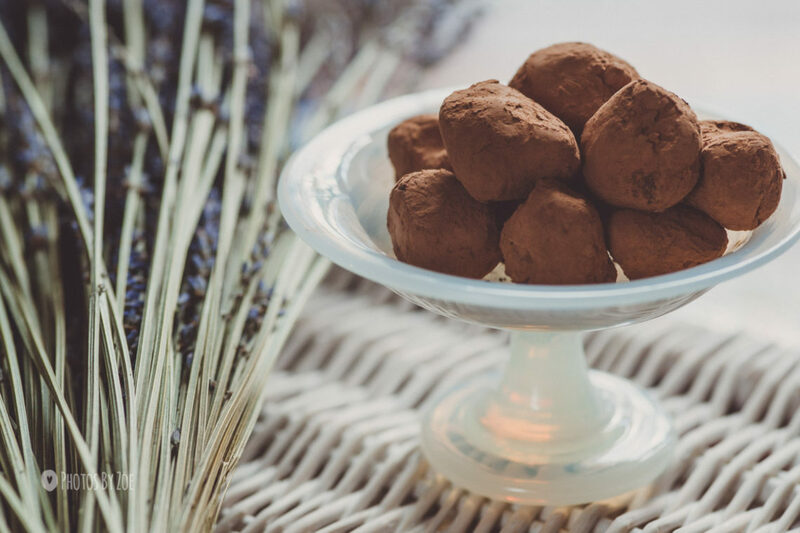 Using a dessertspoon, shape the mixture into balls, then roll them in cocoa powder.